Fall River is a city in Bristol County with a population of about 90,000 residents, according to 2013 estimates from the U.S. Census Bureau. The city derives its name from the Quequechan River, which means “falling river” in Algonquian. It was known for its textile industry in the 20th century, which attracted workers from around the nation. The city’s economy continues to diversify with growth in the manufacturing, life sciences, and technology sectors. 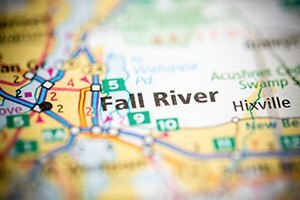 If you have a legal concern in Fall River or the nearby area, the real estate and workers’ compensation attorneys at Pulgini & Norton can provide the counseling and representation you may need. We have over 40 years of collective experience in those areas and others. If you have suffered a job-related injury or illness, you may seek workers’ compensation benefits. Massachusetts law requires that all employers carry this type of insurance, which is a no-fault system. This means that the law does not look at which party was responsible for the harm in determining whether compensation should be awarded. In exchange for these benefits, the worker gives up the right to file a personal injury lawsuit against the employer. You may be eligible for many forms of workers’ compensation assistance if your job caused an accident or sickness. These benefits include partial compensation for your lost wages, coverage for your medical expenses for the duration of your condition, a one-time payment for a disfiguring injury, and job retraining. There may also be financial assistance for certain dependents of a deceased worker. Permanent total disability, or an injury or illness so severe that you cannot perform any work at all. Massachusetts sets a cap on how much you can receive. This amount is based on the state’s average weekly salary. The duration of your wage benefits will also depend on the condition’s severity. For example, financial assistance for a temporary total disability has a limit of three years, although this can be extended if the injury or illness becomes permanent. If you are hurt at work, it is important that you seek treatment and notify your employer as soon as you discover the harm or realize its connection with your job. An insurer may initially deny your claim for benefits, or begin to pay you compensation but then decide to stop. If this occurs, you will need to appeal to the DIA. You will have to present medical records, documents, and other evidence to demonstrate that your condition is in fact related to your work, illustrate the severity of your injury, and prove your need for medical treatment. We can represent you in DIA proceedings if your workers’ compensation claim has been denied. Our attorneys also can effectively represent your interests in the purchase, sale, or financing of real estate. We can identify and resolve potential issues, such as uncertainty regarding title or a contingency in the purchase and sale agreement, to help facilitate a deal that protects your interests. We also assist property owners with zoning issues, such as matters related to appeals, special permits, and variances before the Fall River Zoning Board of Appeals. The property and workers’ compensation lawyers at Pulgini & Norton have decades of experience representing clients in Fall River and beyond. We understand that every transaction and claim is different, and we are ready to devote the energy and attention that is needed to craft a strategy specific to your situation. Call our office today at 781-843-2200, or you can contact us through our online form to arrange an initial consultation.